While Louisiana road and bridge needs poured in to a key legislative committee Oct. 12, prospects for any sweeping changes are bleak. 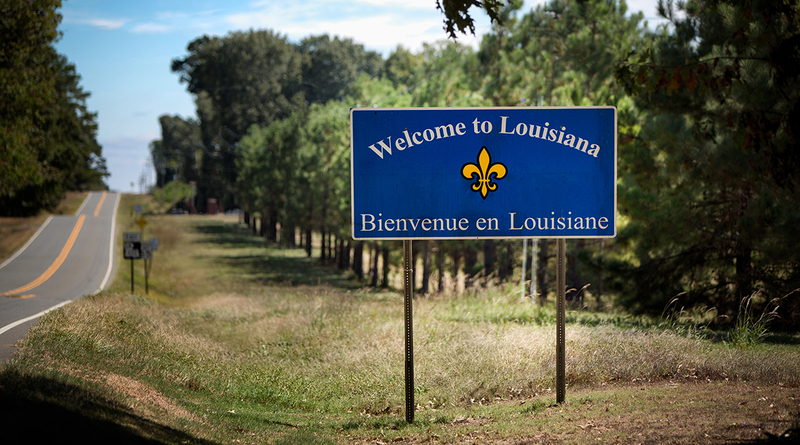 Shawn Wilson, secretary for the state Department of Transportation and Development, told the House and Senate transportation committees that Louisiana has $691 million this year for transportation improvements and a $13.1 billion backlog. “We have a wheel barrel full of needs and a thimble-full of money,” Wilson said. Wilson made his comments during the ninth of nine annual public hearings statewide, where lawmakers hear from mayors, parish presidents and others on their road and bridge priorities. However, a bid to boost the state gas tax by $510 million per year — it required a 17 cent per gallon hike in the state gas tax — died in the Legislature earlier this year without a floor vote. Indications are it will be at least 2021 before any such push is tried again because of state tax rules and political realities. Despite the lack of dollars, lawmakers and local leaders repeated their longtime calls for improvements. Construction of a new bridge across the Mississippi River in Baton Rouge, widening Interstate 10 from the bridge to the I-10/12 split and construction of an interchange at Interstate 10 and Pecue Lane in southeast Baton Rouge were all cited. Lawmakers and parish leaders from the west side of the river repeatedly called for traffic relief for commuters who rely on the “new” bridge daily. However, the lack of additional dollars to finance improvements surfaced over and over during the nearly two-hour hearing. “We need revenue, obviously,” said state Rep. Steve Carter, (R-Baton Rouge), a member of the House transportation committee and the sponsor of the failed gas tax hike. Eric Kalivoda, deputy secretary for DOTD, told lawmakers that, except for I-49, most of the interstate roadway built for 50 years is 50-60 years old. The state has 938 miles of interstate roads, which handle 38% of all traffic and 48% of truck traffic, Kalivoda said. Scott Kirkpatrick, executive director of the pro-gas tax hike group Capital Region Industry for Sustainable Infrastructure, said the state’s transportation plight is like his group’s acronym — CRISIS. “We are, as our name says, in a crisis,” Kirkpatrick said. Riley “Pee Wee” Berthelot, president of West Baton Rouge Parish, and Tim Roussel, president of St. James Parish, both spelled out longtime traffic problems in their areas. Rep. Barbara Carpenter, (D-Baton Rouge), said the I-10 exit at Harding Boulevard badly needs improvements, especially because of massive backups between 2:30 p.m. and 6:30 p.m.
Carpenter noted that the exit is used for motorists headed to Baton Rouge Metro Airport, Southern University and Plank Road. “In all likelihood you will miss your flight unless you are an hour earlier than you are supposed to be,” she said. Ken Perret, president of the Louisiana Good Roads & Transportation Association, lacerated the Legislature for its lack of action on transportation earlier this year. “Instead of making the tough but obvious decision to increase funding, too many politicians blamed the DOTD for the problems that under-funding has caused,” Perret said. “Too many legislators spread tales of excessive government waste and inefficiencies because that was politically easier than voting for adequate funding,” said Perret, a former top official of DOTD. Motorists in Louisiana pay 38.4 cents per gallon in taxes, including 20 cents for the state. Each penny raises about $30 million per year. Five cents is used yearly to retire the debt on a nearly three-decades old transportation plan called TIMED. Another penny is allocated to local governments.